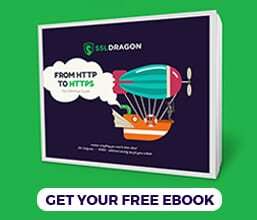 This guide will show you how to install an SSL Certificate on Zimbra – a popular email server and web client. Prior to the installation, you must generate the CSR code for your certificate and send it to the Certificate Authority. If you haven’t completed this step yet, please follow the instructions on how to generate CSR on Zimbra available in the first part of this guide. After the installation, continue reading to learn a few interesting facts about Zimbra’s history. Finally, discover the best place to buy an SSL Certificate for a Zimbra server. Where to buy an SSL Certificate for Zimbra? On Zimbra, you can generate your CSR code in two different ways: via the Admin Console, or using the command line interface. Note: You can generate only one CSR and a private key file at a time. If you have an existing CSR code and a private key on your Zimbra server, generating a new one will overwrite the previous files. How to generate a CSR code on Zimbra via the Admin WebApp? Well done! You’ve successfully generated the CSR code. To save it on your desktop, click Download the CSR and choose a save location. You can open the CSR file with any text editor such as Notepad or WordPad. Keep the CSR safe, as you will need it during the SSL order process with your vendor. How to generate a CSR code on Zimbra using the command line? To use the command line tool, you need SSH access to your server. Note: Make sure you replace the example values with your company or personal details. Zimbra will save the new CSR (commercial.csr) in the following directory: /opt/zimbra/ssl/zimbra/commercial/commercial.csr. Now that you’ve created the CSR file, you can copy-paste its contents including —–BEGIN CERTIFICATE REQUEST—– and —–END CERTIFICATE REQUEST—– during your certificate order. After you received the SSL files from your Certificate Authority, proceed with the installation. Just like the CSR generation, you have SSL installation options on Zimbra. First, we’ll do it via the WebApp administration console, and then we’ll perform the same task using Zimbra command line interface. Note: If you didn’t generate the CSR on Zimbra, you need to install the certificate only via the command line interface. 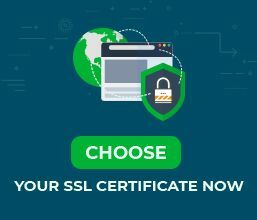 Certificate: your SSL certificate file with the .crt extension. RootCA: this is the last (third) certificate from your CA bundle file. Intermediate CA: this is the second certificate from your CA bundle file. After the restart, you can find the newly installed certificate in the Configuration > Certificates section. Simply click on the gear icon (upper right corner) and select View Certificate. The new page will display the SSL Certificate status. Install an SSL Certificate on Zimbra using the command line interface? Note: If you didn’t generate the CSR code on Zimbra, you also need to upload the private key file. For the purpose of this example, we will upload the certificate files into the /opt/ directory. Remember! You have to replace the /opt/ directory and the certificate name, with your own location, and details. Note: Your CA bundle must contain the root certificate, as well as all the intermediate certificates. Note: If you didn’t create the CSR on Zimbra, you must name your private key file commercial.key and upload it into the following directory: /opt/zimbra/ssl/zimbra/commercial. Congratulations! You have successfully installed the SSL Certificate using Zimbra command line interface. After you install an SSL Certificate on Zimbra, it’s important to scan it for potential vulnerabilities. Better catch them early, then watch your site displaying SSL related errors. Use one of these high-end SSL tools to get instant status reports on your SSL certificate. Zimbra is an email server and web client, similar to Microsoft Exchange and Outlook. Since its first release as a collaborative software in 2005, Zimbra has changed several owners, among them, the prominent Yahoo! Today, Zimbra is owned by Synacor Inc, a technology and services company based in Buffalo, New York. Former Zimbra president and CTO Scott Dietzen revealed on his blog the origin of Zimbra’s name. It derives from the song “I Zimbra”, from the 1979 album Fear of Music by the American new wave band Talking Heads. Zimbra 8.5.0 GA Release (codename JudasPriest) – released on 08-28-2014 (no longer supported).